Thought to be a burden an injured man, Huge Glass, is left for dead. After his son is murderer he then begins a journey of recovery and revenge. Set in 1823, like the comparable Outlaw of Josey Wales, the characters feel real and are motivated, they all have shades of grey. However, director Alejandro G. Iñárritu excels the aforementioned in scope thanks to Emmanuel Lubezki’s cinematography, natural lighting and advancements in film making. The Revenant is beautifully shot and really captures the cold outdoors authentically. It’s realistic, harsh and uncompromising, showing the best and the worst of man. It captures the bitter coldness that survival films, the likes of Alive, The Edge and Deadly Pursuit a.k.a Shoot to Kill only touched on. The relentless breathtaking bear attack is as intense as Leonardo DiCaprio’s committed performance as he fights to survive and avenge his son’s death. Tom Hardy as John Fitzgerald cements the absorbing drama, his character like the natives and French offer cold, punishing brute force from each others perspectives in contrast to the silence and beauty of nature. Thanks to the excellent performances, props, costumes and locations it’s easy to buy into the story. 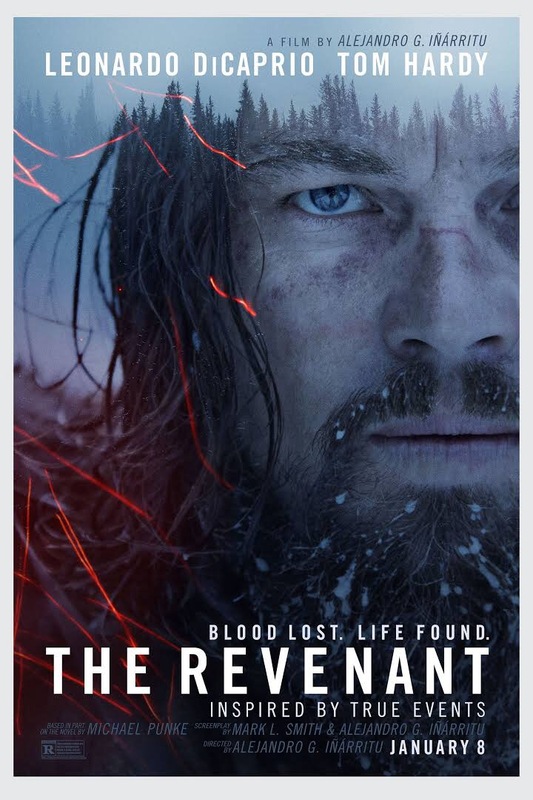 The Revenant is a tour de force ultimate endurance tale and has heart and soul. The sober moments and relationship scenes with the indigenous characters are interesting, the history feels well researched. Gleeson as with Star Wars Force Awakens is average but engaging, DiCaprio and Hardy are outstanding along with the supporting cast. Will Poulter’s involvement is particularly notable. It’s very serious and justly void of humour, but has irony woven throughout. From a horse falling from cliff, to wolves attacking bison, eating raw meat, avalanches and waterfalls, log cabins, outposts and tepees. It’s a great frontier revenge survival thriller with multi layers. Recommend.